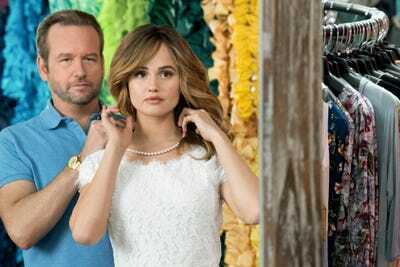 Netflix’s new series “Insatiable,” which stirred up controversy following the release of its trailer, is even more offensive than it appears. It attempts to tell the story of a teenager who was bullied for her weight and wants to get revenge on those who wronged her. By casting a thin actress in the main role, it fails to make its most basic point. Netflix’s latest original series, “Insatiable,” is just as upsetting as its trailer. The show intends to criticise society’s standards of beauty in a satirical way but gets lost among its sensationally offensive content and characters. When Netflix debuted the trailer for “Insatiable,” which drops Friday, it immediately stirred controversy and was accused of fat shaming. The trailer suggests the show is about a fat teenage girl who loses weight – now that she’s skinny, she seeks revenge on her bullies. Many criticised the casting of Debby Ryan, a thin woman who wears a fat suit at the start of the series. The casting and premise seemed to continue the tradition of excluding fat women, or anyone who doesn’t meet society’s standards for beauty, from Hollywood – even while purporting to tell their stories. Netflix execs, actors on the show (including Alyssa Milano), and its creator, Lauren Gussis, urged people not to judge the show by its trailer. But unfortunately, “Insatiable,” while possibly well-intentioned, does not make its message clear at all. It thinks it is making a point about society and beauty by having its characters aggressively make the opposite point. But it doesn’t work. But none of this leads to anything, or makes any poignant point. NetflixIt’s unclear what ‘Insatiable’ is trying to do or say. The central story of “Insatiable” isn’t even Patty, a high-school girl – played by Ryan, who is 25 – getting revenge on those who wronged her. That part lasts for really only the first two episodes. Patty’s recent thinness is just an excuse for the actress to be conventionally attractive enough to appeal to the masses. Besides her desire to be even thinner and therefore more beautiful – so Bob Armstrong, a 40-something-year-old lawyer turned beauty-pageant coach, will fall in love with her and end his marriage to a woman Patty constantly demeans – Patty’s history with her weight is pretty much erased. It seems to be used solely as a reminder that this show is inclusive because its main character used to be fat. This is not a show about someone who gets back at bullies; it is about a hot teenager who lusts after an adult man, and about a bunch of people who are horrible to each other. NetflixDallas Roberts shows some excellent comedic chops, but he’s one of the only good things about the series. Dallas Roberts (“The Good Wife”), who plays Armstrong, and Christopher Gorham (“Ugly Betty”), who plays his rival, do their best with the material and bring some levity to the series. But that’s about it. I don’t know who “Insatiable” was made for, but it was certainly not me. After watching six episodes (of a 12-episode season) that all exceeded an agonizing 46 minutes, I felt awful and gave up.